SECAUCUS, NJ – Mayor Michael J. Gonnelli and the Town Council would like you to welcome Mrs. India Earth finalist Paris Keswani, to our community. Secaucus was first introduced to Paris Keswani when she chose our town to help her reach a goal of planting 10,000 trees worldwide. The Mrs. India Earth finalist’s mission has been a successful one, but now she is looking to do even more for the community. Keswani is no stranger to volunteer work. She runs the “Prince Foundation,” which feeds 200 homeless people each week and hosts annual toy, book and blanket drives in New York City. 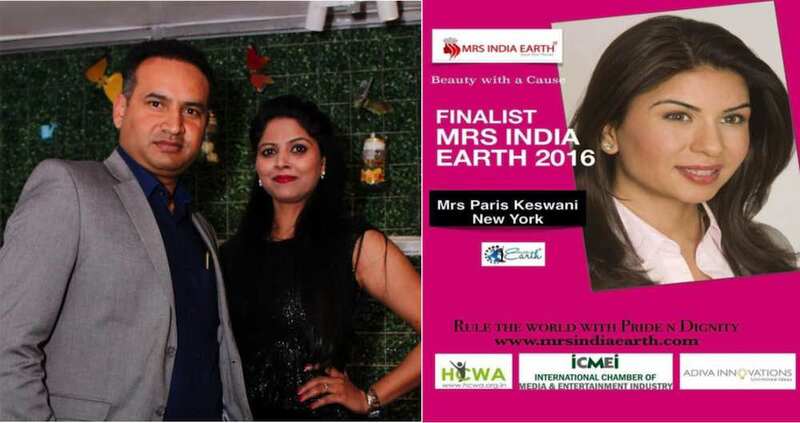 The directors of the Mrs. India Earth pageant have inspired Keswani to positively impact her community, as they do for theirs. provides education, medical attention and care for women and children. The organization aims to “promote optimal health and well-being of disempowered women and children” through workshops, programs, free meals and medical aid. Although Keswani will be away training and participating in the 2016 Mrs. India Earth pageant for a while, she has big plans for when she returns. After attending her first Exceptional People of Secaucus (EPOS) event in town last week, Keswani was inspired. She plans on putting the passionate volunteers from her Prince Foundation through training and having them come out prepared and excited to help out the Exceptional People of Secaucus. Keswani looks forward to working with Mayor Gonnelli and the Council on new activities and events to incorporate into the program. In addition to working with EPOS, Paris and her team at Treasures of Prince are planning to launch a new line of jewelry, made from 100% recycled materials. The line is set to launch at the end of November and all proceeds will go towards environmental projects and her work for Prince Foundation.